Reality TV, how 'real' is it really? As I am sitting and editing the daily vlog on a Friday evening after a date night with hubby I wonder. 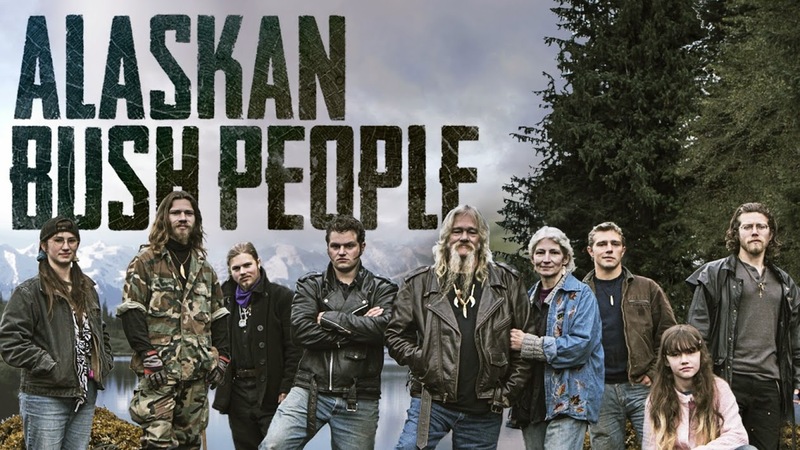 The TV is tuned to Discovery Channel and at 10 pm EST they are showing the latest episode of Alaskan Bush People - a family of 9 living in the wilds of Alaska, off the land and with some interesting accents (I can't really identify a single one). Now I am a veteran of Reality TV, the excitement of Survivor Season 1 now almost 15 years ago was unlike anything else on TV at the time. It was the thing to watch, I even recall planning around the hour show on CBS but now you can barely turn the channel and not trip over a new 'reality' spin. Between Wars of Everything and Housewives of Havana, there is little left that has not had a camera aimed at it but I've always been rather partial to survival type of shows and where you have to use your wits and skill to make it another day. This is where my skepticism steps in. The Bush People show in particular, only because it's on right now but there are several others, that I question how it's possible to live in the wilds of Alaska for a large family with little provisions and not even a climate worthy shelter. I have a difficult time accepting that the clean appearing, leather wearing, designer jean clad clan of nine is sleeping under a dug out tree or a lean to. I expect production to be done around any 'reality' but how far does it get stretched when this family appears to have the worst luck possible - fires, neighbors shooting at them while they sleep, house boat sinking while somehow the same clothes appear on the family pre and post 'loosing everything'. Having vlogged daily off an one for nearly a year and a half (2014 plus several month long stints in 2013) I am aware that exciting or dramatic things don't happen daily or even weekly. Even if you take into consideration that filming is done over the course of several months to cobble together the edited show, there is bound to be mundane moments but apparently not on 'reality' TV. Have we become total cynics? Is it possible to still be pleasantly surprised by reality shows? There are dozens of shows on these days, many spin-offs from those that proved to be ratings gold but how many times can you make carbon copies (does anyone even remember this reference? lol) before they stop resembling the original entirely? I'd love to hear your opinion on 'reality' TV, Do you watch? Do you admit to watching it? I won't tell but I am really curious. Hubby and I do watch the Alaskan Bush People and I too questions things. Like their knowledge on building things or fixing things, where and how did they get this knowledge when they are living out in the bush? lol I am entertained by the show though and do like it. I read an article from an Alaskan newspaper that debunks all the talk of them living in the wild. They 'live' or more like film in the wild only with camera crew and the island is not uninhabited but rather has 4 towns on it so there are people. A lot of what is shown is for production value which explains why everyone looks relatively clean and in clothes one is not likely to spend any length of time in the wilds of Alaska. 'Reality' scripted TV with lots of staging. I love this tv show and I hope it stays on tv long enough to dee one of the sons get married, they're fantastic!